Blue Web Review 2019: Is Blue Web a Good Hosting? BlueWeb is a long standing South Korean company with more than 200,000 customers. The plans are expensive, but the data center is Tier IV and you’ll find lots of value added features. BlueWeb is a company in a family of Korean internet companies, including, to name a few; Cooking M (mobile app themes), NeoBoz (website design templates), and Design Tool (all-in-one website solutions). According to the website, Blue Web has been used by more than 200,000 customers since its inception in 2000. The websites are all available in Korean. BlueWeb offers a selection of different types of hostings plans e.g., Linux hosting, Windows hosting, Zero XE (with a website building tool), image hosting, video hosting, .NET hosting, and reseller hosting, as well as service hosting, colocation, and managed plans. So, there are plenty of options to meet your requirements. The Linux plans come with most of the software and database features you need, from support for PHP (version unspecified), Perl, C++, Python, and MySQL databases, as well as SSH access. Windows plans come with Microsoft SQL databases and .NET support. There are a few extra value adds, to help you get started with BlueWeb. First, it will offer free website migrations to get you set up easily. Second, an integration with NeoBiz, which gives you access to various free design templates and a website builder is available. And third, BlueCGI gives you access to galleries, membership management, online forms, and other website integrations. There are also quite a few customization options in the checkout flow to configure the base plans as needed. You can select the type of Linux operating system (Basic, Blue, Power, Power Plus, or Max), increase hard disk space, add monthly traffic, or add databases. This kind of flexibility is quite uncommon for shared hosting plans, so it’s a nice little value add. There isn’t an uptime guarantee advertised on the website, which is unusual. However, I can you tell it owns its own South Korean based data center, which is Tier IV, meaning you should (in theory) experience less than 26 minutes of downtime per year. The prices are higher than international companies, but in line with, if a little more expensive than other South Korean companies. You’re paying to have a South Korean host and also lots of value added features such as support for advanced coding languages and website building tools. Plans come with a free domain, but SSL certificates are an added fee. You can select terms ranging from one month to three years, with a hefty discount for a longer terms e.g., if you purchase three years, you get one year for free. Unlike some South Korean hosts, you can sign up and pay 100% online, and the process is relatively fuss free. 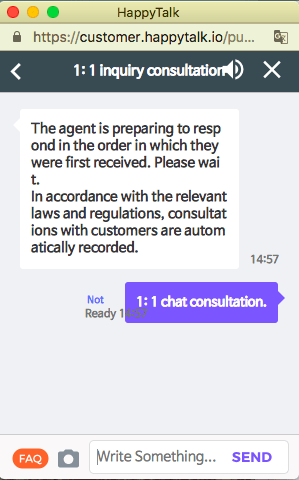 I was pleased when I saw live chat on the website, however, despite having used it a few times during the afternoon on a weekday local time, the operator did not pick up. I followed up by email (in English) and sadly, did not receive a reply. According to the website, there is supposed to be 24/7 customer support by phone, email, and live chat, plus there’s remote support software. There’s a small FAQ section with some tutorials on the website, although I doubt it would be enough to help in the event of an emergency. BlueWeb is an I.T. infrastructure company that provides hosting, YSM (Yello Shopping & Media) affiliates of Yellow Mobile Group, IDC co-location, server management, domain, web solution service, and homepage creation. The plans are expensive, but there are tons of features for experts and beginners, as well as use of its own Tier IV data center. Get premium South Korean hosting at Blue Web! Wondering how Blue Web stacks up against other Web Hosting companies? Enter any other Web Hosting company and we will give you a side-by-side comparison.